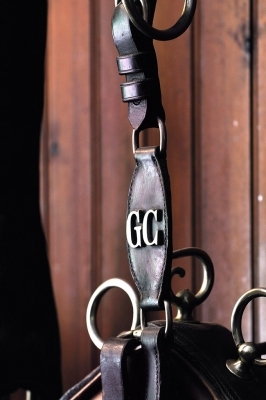 Saddle up and don’t spare the horses! 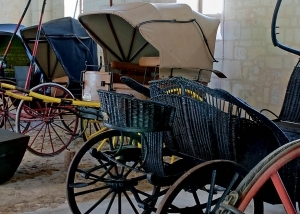 Right up until the last century the Château d’Ussé owned and used a large number of horse drawn vehicles. They were employed for everyday tasks as well as for any journeys the owners made. 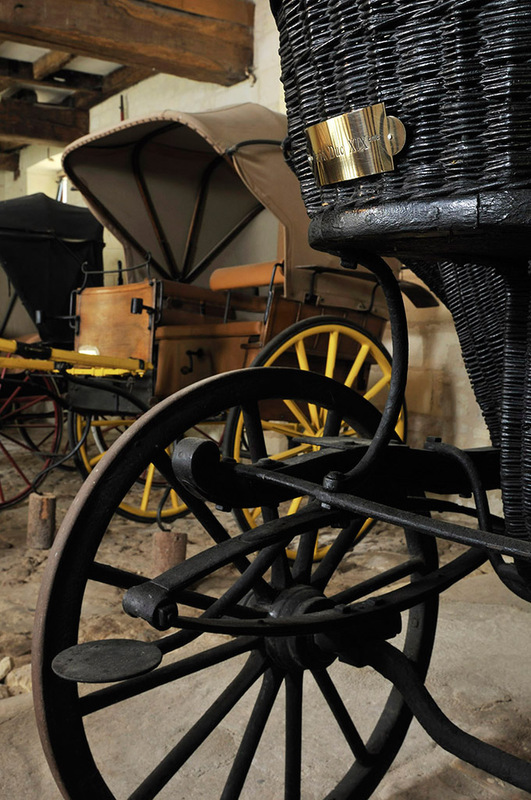 Some of these vehicles are on display in the barn. Amongst them you can see the Town Coupé or the Milord which has an elegant folding hood and could be hitched to a team of two or four horses. The Little Duke, much lighter and made of wicker work, was used by children for rides in the park. A surprising addition is the American style vehicle which was built for speed. The more rustic donkey cart was used to ferry milk and vegetables from the farm. 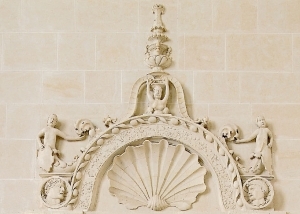 The vehicles known as “tonneaux” or “demi-tonneaux” were also used for transporting everyday goods to and from the château. Children loved riding in the dog cart that could be pulled by their favourite guard dog! 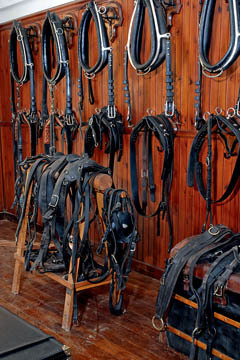 The tack room is full of harnesses, in wonderful condition, all beautifully displayed and ready for use! 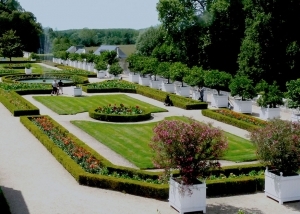 Designed by Le Nôtre, one of the most beautiful gardens in the Loire Valley. A collection of horse drawn carriages and beautiful tack. Feel the peacefulness and admire the beauty of Sainte-Anne D’Ussé’s chapel.